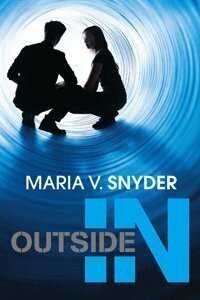 January's book with the most votes is Outside In by Maria. V Snyder! It was really close, just by one vote. Please remember as you enter that this is a sequel. You should probably have read Inside Out. But You're still welcome to enter! I can't wait to start this series--I have the first book and have been saving it for dystopian February! Thanks for the giveaway! YAY! I loved Inside Out.